A bridge replacement project on U.S. 50 in western Hamilton County will reduce traffic to one lane through the winter and most of the spring. 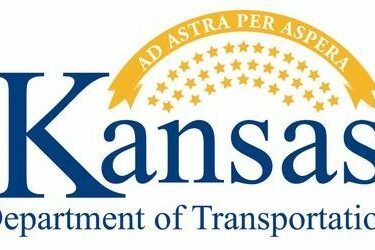 The Kansas Department of Transportation expects the project, which is about 4-1⁄2 miles east of the Kansas/Colorado state line on U.S. 50, to get started by Thursday, November 20. The new bridge will be constructed in two phases and traffic across the bridge will be restricted to one lane during construction, controlled by a traffic signal. Concrete barriers will separate traffic from construction and there will be a 10-foot width restriction across the bridge. L&M Contractors, Inc., of Great Bend is the primary contractor on this approximately $1.2 million bridge replacement project. KDOT expects work on this project to be completed by the end of May 2015, depending on weather. If you have questions on this project, you can call Larry Meyer, Construction Manager, at 620-384-7821 or Kirk Hutchinson, KDOT Southwest Public Affairs Manager, at 1-877-550-5368 (toll free).